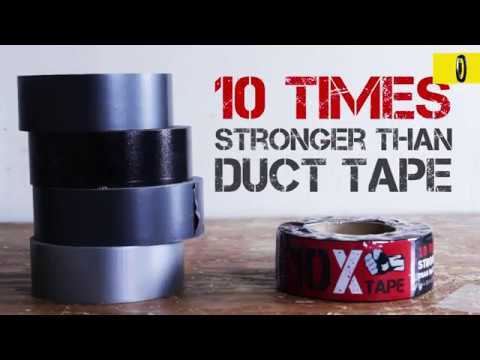 10 times stronger than Duct Tape. FiberFix 10X tape is effective on breaks, tears and cracks. The residue-free tape can be used in many applications including garden tools, farm equipment, tarpaulins and tents. Supplied with cutting knife. 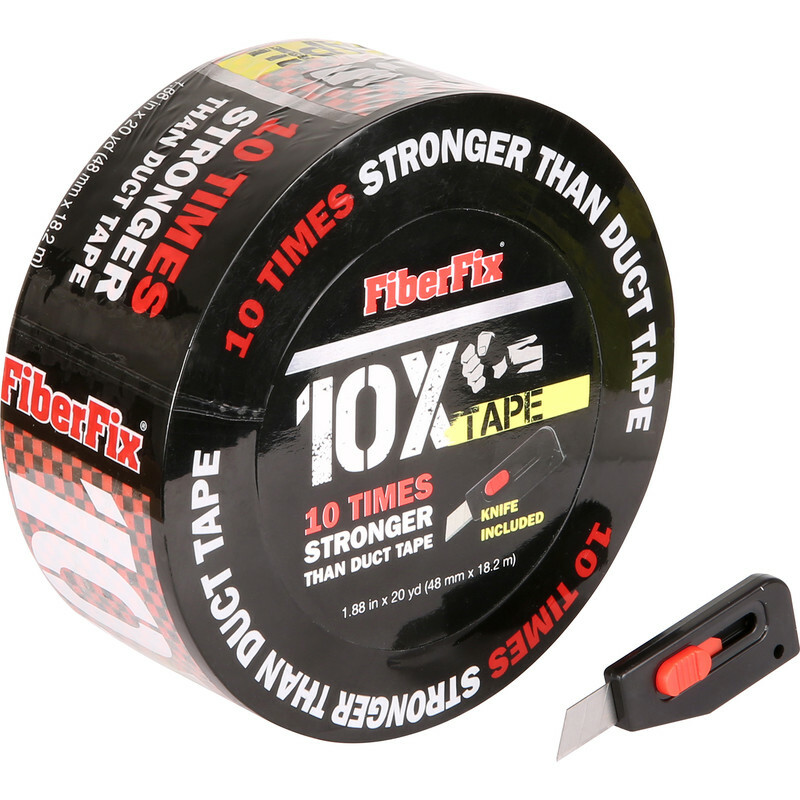 Fiberfix 10X Tape 50mm x 18m is rated 5.0 out of 5 by 4. Rated 5 out of 5 by Cotswold Jim from Very strong, great for joining carpets. I'm not sure if its made from 'real' carbon fiber, or just looks like it. But this tape is really, really strong, you won't tear it, you will need to cut it with a knife. I bought this tape to join some carpet, it worked a treat. I used one strip along the actual joint and a few long ones, every 100mm or so, at 90 degrees to give the joint strength. It's only a month in, but it seems to have worked really well. Rated 5 out of 5 by DimS from Very Good I bought this to secure some insulation to breeze blocks in my loft, as Duct tape wasn't holding it in place, and it has worked.